This year the NBA Finals brought me a very powerful AHA that I hope you found as well and it has nothing to do with the basketball. I am not much of a basketball fan although the competitive nature in me has me interested in championship rounds of almost any sport. 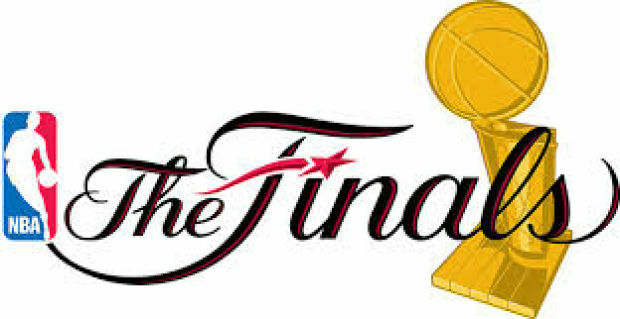 The NBA season might be too long, might be filled with interesting stories and might be exciting, although it is only the NBA Finals that gets my attention. LeBron James did have a big WHY and spoke about a secret motivation that was powering him to take his “best player in the world” (his own words) ranking and win it all. A big WHY is a must if you plan to breakthrough challenges and have successes. Here is where the AHA came to me. It doesn’t matter how big your BIG WHY actually is if you don’t have the support system around you. You could be driven by your BIG WHY to be better than you ever thought you could be and still come up short. The real question is, does your environment support your goals? LeBron could not win the NBA Finals on his own no matter how powerful his motivation or how great a player he is. LeBron needed to have help and support and so do we! Do you have the support staff in place to assist you in achieving your goal? Do you have the ability to focus on your most important task while others accomplish theirs? The most important question to ask of the people around you…Do they have a BIG WHY as powerful as yours or will they easily get distracted? Make sure you get your BIG WHY in place or figure one out. Then make sure you have an environment around you to support you in achieving your goal. Then, nothing can stop you! Good luck next year LeBron. Chadalyst – Take a moment and look at your team (at the office, at home and in your network) and evaluate if you have a team that can help you win. 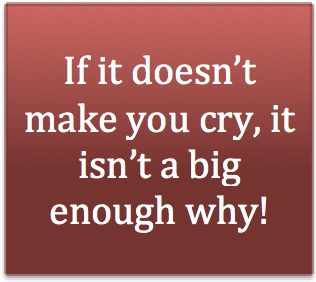 If you do, check your BIG WHY and ask yourself if it is BIG enough!